Imagine a world where a boy's dreams dictate the behavior of warriors in battle; where a young couple's only release from forbidden love is death; where a suicide bomber survives only to become fiercely pro-American. This is the world of Terrorists in Love. Terrorists in Love is now available in paperback. 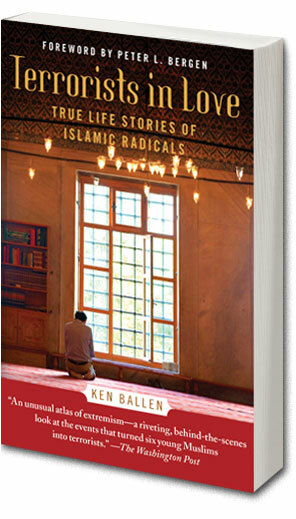 Terrorists in Love was chosen by Foreign Policy as one of the twelve best books on Islamist terrorism. Ken Ballen is President and founder of Terror Free Tomorrow.